Inspired by a wine collector friend in 2009, Paul Dunn was tempted to add on wine collection to his favorite Chinese Contemporary Arts collection, whisky & brandy collections, and Maotai (茅台) collection. 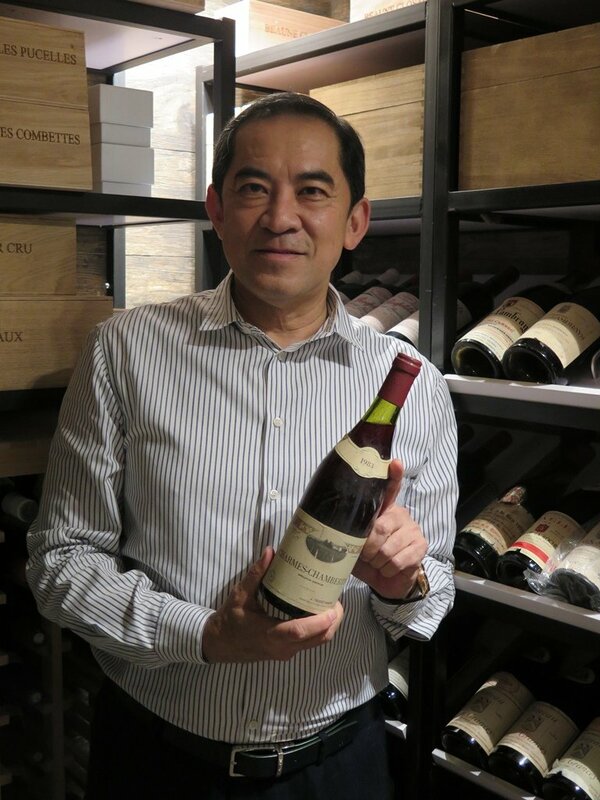 Cobo Social was delighted to have the opportunity to speak with Paul and get some insights from him about building a private wine collection and what “homework” one has to do before bidding in wine auction. “I got advices from other collectors, auction houses and recommendations from around when I first started. 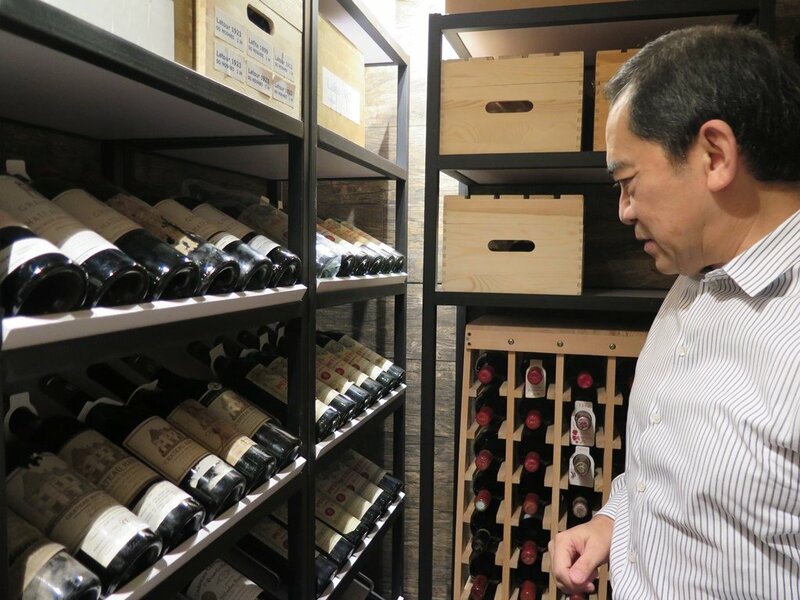 I was mainly buying classified growths and the best vintages,” said Paul in his office where he has his mini wine cellar and some selected collection of spirits. 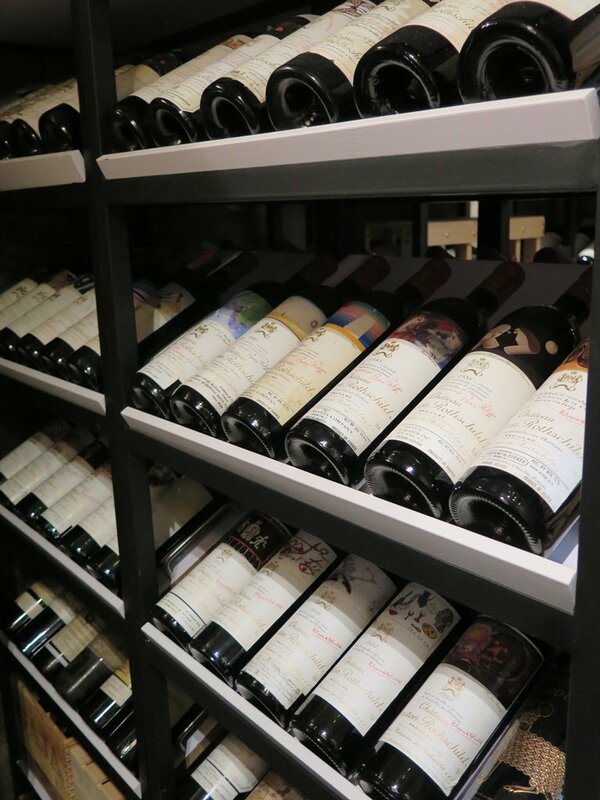 Paul has fallen in love with wine collection eventually because he found the connection as art collector. Yet, he realized differences between these two after a while – wine will deteriorate, meaning every bottle has the lifespan. The value is in question when it is the end of a bottle’s life. There is risk involved. From there on, he started reading a lot of information in order to understand better about wines and try as many wines as possible to polish his learning – from ‘off-vintages’, different regions, to different producers. Through the process, he turned from just getting advices on purchases to being able to filter information and form his own opinion. One of the wine publications Paul read is Wine Spectator. He also watched the videos available in its online version. Each year, Wine Spectator editors review the wines rated in the past 12 months and select the Top 100 List. In order to learn what ‘top quality’ means in wines rather than just putting the focus on those ‘best vintages’ and renowned wineries, he decided to collect also the Top 10 of the 100 List every year. These wines are not necessarily renowned in the auction market, but still being sought after in the wine market. Some bottles took Paul quite some effort to find indeed. Another way to learn is going to the origin of wines and speaking to people in the wineries. Through communications with them and other collectors, Paul has gradually built up the instinct to choose the wines. Over a glass of wine, Paul shared further the story of his encounter with wine auction. He enjoys the journey of discovery and treasures the friendship built through communicating with collectors, experts working at auction houses, and wine occasions with other wine lovers. The searching process has made him fonder of wines and he actually found the surprises a fun part of it. Such surprises do not only come from wines, but also the sentiment in live auctions. “If there are very special and rare items, be there to see the scene. Do not make absentee bid,” he said. He has been observing the buying sentiment during live auctions, which fluctuates for many reasons. In one occasion, he noted a bidder who seemed to have a deep pocket and want to win every lot. He just could not outbid him until when this bidder had a toilet break, he won a bid. That was his early days of bidding in wine auction though, as he later realized what he paid was still considered high after some years. He learnt something. From this experience, Paul learnt the importance of controlling himself and the paddle. Sometimes, the sentiment at live auctions affects one’s emotions as well. One could just keep bidding and forget the ‘homework’ done on the ‘right price’ of the lot. Reading the catalogs carefully is an important part of ‘homework’ bidders should do. Listed in catalogs are the details of the lots bidders are trying to buy – who is the consignor, provenance, where the wines have been cellared, who have handled the wines in the past, and conditions. Conditions of the lots such as fill levels and capsules should be taken into consideration. Being collector, condition of wine labels is also of concern as that could affect the reselling price in the long run. As a drinker, it is probably fine if the label is not 100% in good condition. Hammer prices of the lots that one wants to buy should be studied. Such information is usually available in the archives of auction houses. If one cannot do 12-month analysis, study at least records of the last 6 months. The idea behind is to form one’s own estimates (low estimate and high estimate) instead of just following the estimates by auction houses. While the high estimate sets the limit of one should be paying, believe in the work that has been done. In live auction, observe and stay controlled. Do not be affected by the sentiment, otherwise, one could be spending more than wanted or paying on something that one should not be paying that much. “Make your own judgement,” said Paul. When Paul was asked whether wine was an investment, his answer was “yes” without any hesitation. Not that he wants return from investment for every single bottle he bids, but he does not want to pay more than the bottle should cost. It is a matter about seeing the good value in the lots for him. Timing then comes into play: ‘Pick the right wines at the right entry cost, at the right time’. Do not buy high is the key. In fact, Paul has noticed some ‘correction’ in prices of some French wines in last few years. At the same time, because of believing in his own choices, he seemed not to have fallen into the ‘trap’ of buying high earlier. 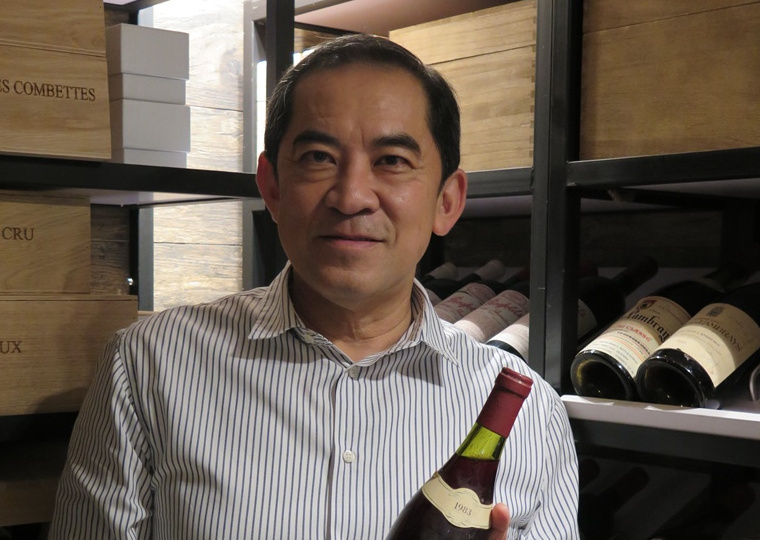 On the contrary, he started collecting wines of older vintages, especially those prior to 1970’s, and Burgundy wines. Examples of interests were Château Mouton Rothschild 1959 & 1961, Château Latour 1961 and Henri Jayer. Conditions – Fill level, capsule, labels, etc.